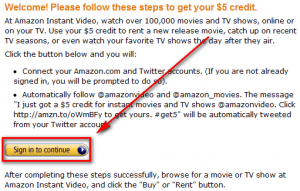 Want free $5 credit for Amazon Instant Video, usable for movies and TV shows on Amazon Instant Video? 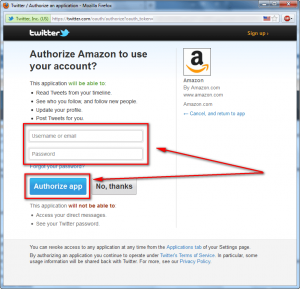 All you need is an Amazon account, a Twitter account, and two spare minutes. If you prefer, after you take advantage of this offer, you can manually unfollow @amazonvideo and @amazon_movies, delete the promotional tweet, and revoke Amazon’s Twitter app’s access to your account. If you receive any sort of error and don’t see the message shown above, simply refresh the page and try again. I myself ran into an error the first time around but tried again and it worked perfectly. Last but not the least, take note this promotion is available until September 2, 2011, at 11:59 PM PST. Take advantage it before that time! 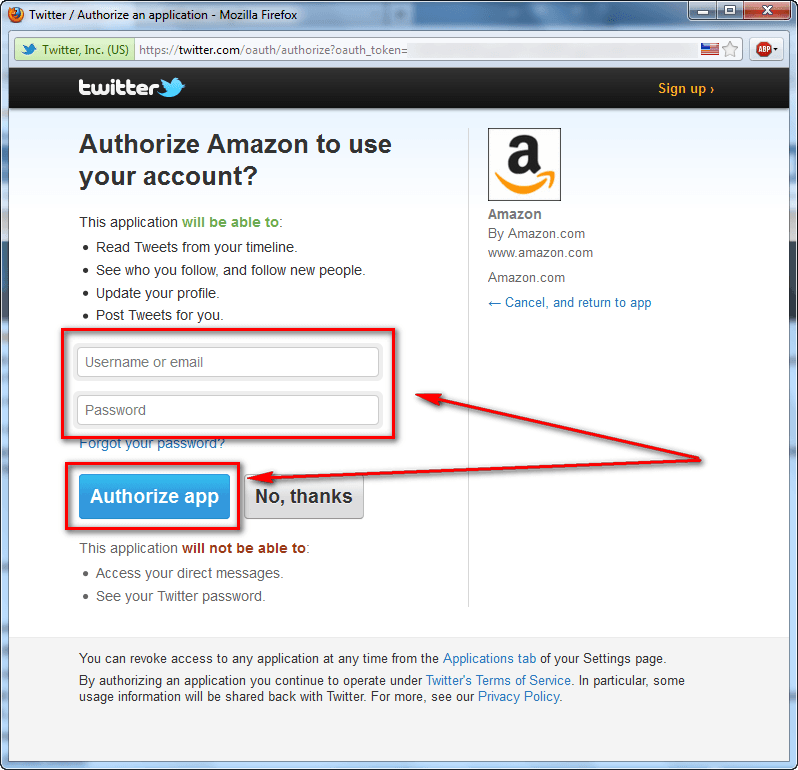 Also take note that if you don’t use the $5 credit, it will expire October 31, 2011, at 11:59 PM PST.